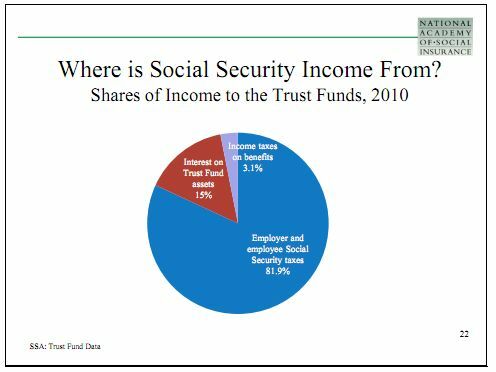 The national debate on the future of Social Security is surrounded by falsehoods and misconceptions regarding the program’s finances and its relationship to the federal budget — misconceptions that are repeatedly reinforced by major media outlets. In fact, as it’s currently constructed, Social Security cannot add to the deficit in the long run, does not present a major threat to America’s fiscal future, and is backed by some of the safest financial assets in the world. Not one dime of money from federal budget funds Social Security. Read the full report “Media Chronically Wrong On Social Security And The Deficit” at http://mediamatters.org/research/201104140020.